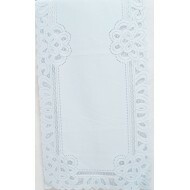 Battenburg 14x70 powder blue table runner Oxford House. 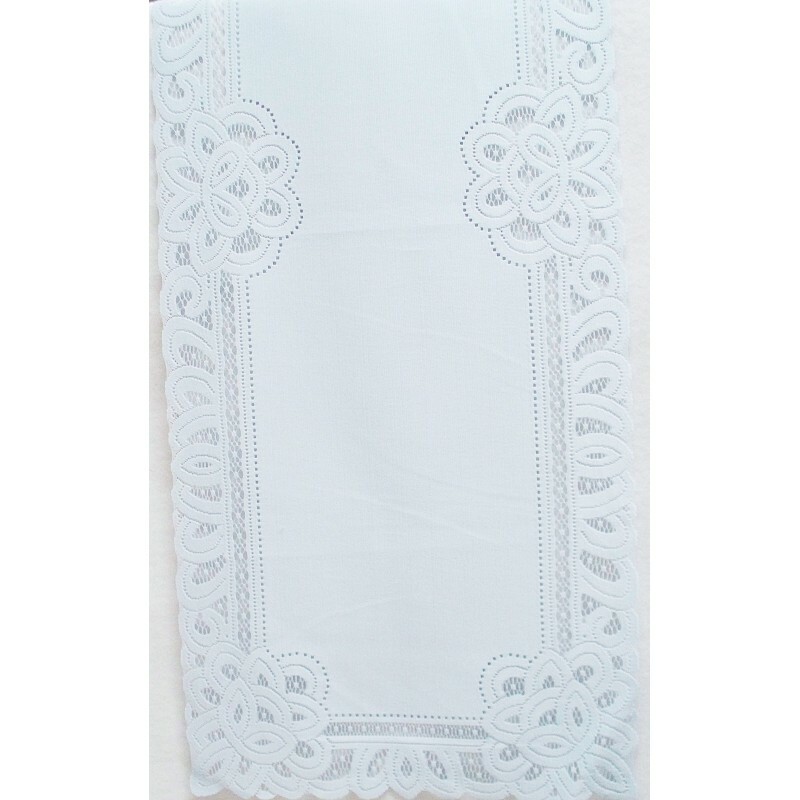 Presenting a stunning and sophisticated look of battenburg cut-out lace trim with like a solid material center. This is all one piece. 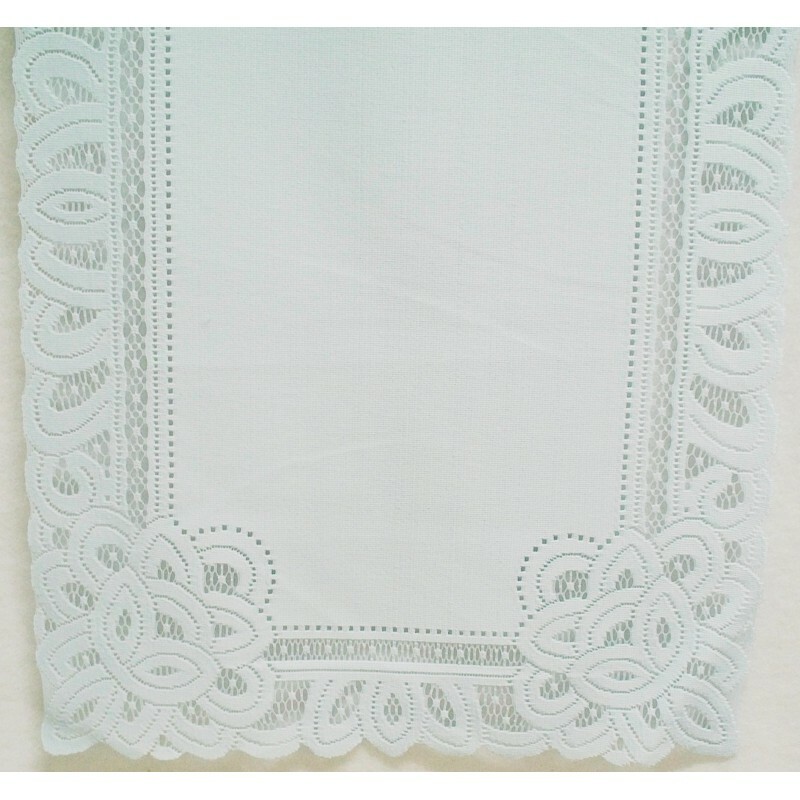 The lace is not attached to the material. This runner is so elegant which has a slight sheen effect to the lace. Superb quality! Color: Powder blue which is more of a soft pastel blue. Care: Machine wash cold-gentle cycle. Do not bleach. Hang or lay flat to dry. Made in the USA by Oxford House.